Nurses have always been a powerful force in healthcare, promoting the welfare of their patients. Now members of the nursing profession are flexing their political muscle by running for Capitol Hill. Running for their first term in the U.S. House of Representatives are Paula Hollinger (D-MD), John Russell (D-FL), and Sheila Sorensen (R-ID). Rosalind Kurita (D-TN) is running for the U.S. Senate, and if elected, she will be the first nurse to serve as a U.S. senator. U.S. Representatives Lois Capps (D-CA), Eddie Bernice Johnson (D-TX), and Carolyn McCarthy (D-NY) are nurses currently serving on Capitol Hill, and are running for re-election in 2006. Nurses can shape U.S. health care policies by financially supporting nurse candidates and by going to the polls to vote. Maryland State Senator Paula Hollinger, a 26-year veteran of the Maryland state legislature, believes access to healthcare is one of America's most pressing issues. 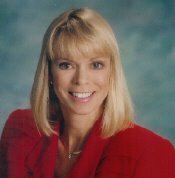 While in the Maryland legislature, Hollinger supported nurse practitioners, particularly in the community setting, and says she will continue to do so when she gets to Washington. Nurse practitioner, John Russell, says he is running for Congress because he can't stand by and watch what's happening to our nation's healthcare system. Russell favors national healthcare coverage and would support a bill to repeal the recently passed Medicare drug plan. Former Idaho State Senator Sheila Sorensen believes her background as a nurse practitioner and state legislator has given her a greater understanding about healthcare issues. Sorensen supports medical care savings accounts and giving tax credits to small businesses that provide health insurance to their employees. Tennessee State Senator Rosalind Kurita says she's running for the U.S. Senate because there are issues she wants to fight for. While serving in office, Kurita has taken the lead to improve nursing education, raised standards for nursing home care, and pushed for legislation that holds HMOs accountable when they harm patients. 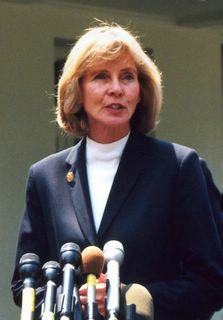 Rep. Lois Capps, sponsor of the Nurse Reinvestment Act, is a co-founder of the Congressional Nursing Caucus, which educates Congress on the issues important to nurses. She believes that our nation is at a critical juncture in providing healthcare to all Americans. She is currently drafting a bill that would establish the Office of the National Nurse. 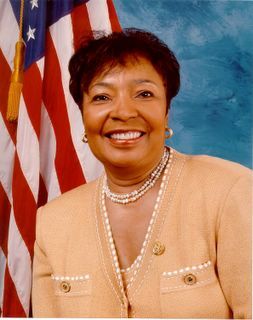 Rep. Eddie Bernice Johnson was the first nurse elected to the Texas House of Representative, the Texas Senate, and the U.S. House of Representatives. She believes the Medicare drug plan is a farce, and wants to overhaul current legislation. During the 107th Congress, she served as chair of the Congressional Black Caucus. 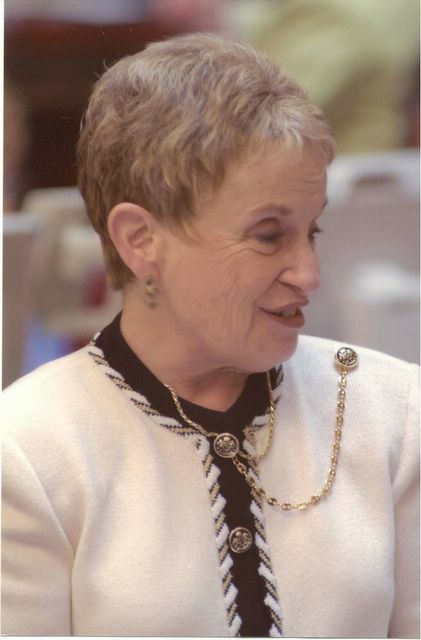 Rep. Carolyn McCarthy says her understanding of healthcare, by way of her nursing career, helps her make informed decisions on pending legislation. Currently, McCarthy and her colleagues are working on the legislation that would help get more nurses into teaching and forgive loans for those going into nursing or for individuals advancing their nursing careers. For further information about nurses running for national office, read "Running for the Hill" by Terri Polick here. Petition congress for a progressive agenda. The National Nurse Team has much good news to report. First, a new website, www.nationalnurse.org, will soon be launched. It will have many features including the means to contact politicians and nurse leaders in support of the National Nurse. We also plan to have a map of the United States that will contain contact information for each of the state nursing associations. Nurses will be invited to call and email their state and national leaders to express their support for a National Nurse. Numerous nurse writers are excited to spread the word about our National Nurse initiative. Christina Orlovsky featured stories in Nurse Zone: http://www.nursezone.com/job/MedicalNewsAlerts.asp?articleid=14479 and Travel Nursing http://www.travelnursing.com/News.aspx?ArticleID=14526. Annie Nowlin, RN from Illinois, is writing an article for ADVANCE. Karen Dahood, a writer from Tuscon, AZ, has also called us with questions about the National Nurse . And Lillian Gonzalez, from Nevada has contacted each State Nursing Association to request publishing information about the National Nurse in their Associations' publications. She has received very positive responses from several states. So far she has submitted exclusive articles to Vermont and Iowa and is working on one for Nevada. We have referred all of these writers to Rep. Lois Capps (D-CA) for statements, as it is her wonderful work and leadership that will one day turn the National Nurse from an idea into a reality. To one writer she responded, "I am very supportive of efforts to create a national nurse position and am currently working on legislation to do so. I am pleased to see this idea is generating public support. This type of grassroots advocacy will be essential once we have a bill to introduce to Congress." Alisa and Teri spoke to the Oregon Nursing Leadership Council in mid November and will be working with three of their members who graciously volunteered their time to assist them. Alisa and Teri also wrote and videotaped a script of what a National Nurse and "expert nurse" broadcast might look like, talking about ways to live healthy and it will be invaluable to take with us when we make future presentations. This videotape was sponsored by Portland Community College who advocate with us for better education of the public on preventive health practices. 1. Forward this email to those you feel may want to know more about the National Nurse campaign. Ask them to visit our website, www.nationalnurse.info and sign up for our newsletter. 2. This holiday season, visit www.cafepress.com/nationalnurse to purchase National Nurse token to help spread the word. 3. Contact us and give us your feedback on how we are doing. We value and take very seriously any and all suggestions. We are working very hard to establish an Office of the National Nurse. It's our profession and our nation's health that we value. And by succeeding in our mission, nurses will have an opportunity to help save our nation's healthcare! 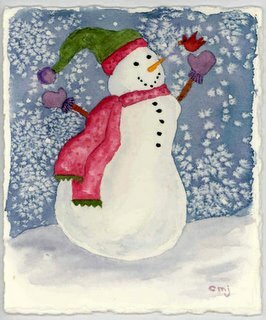 May this holiday season be blessed with good health, happiness and peace to you and your loved ones.